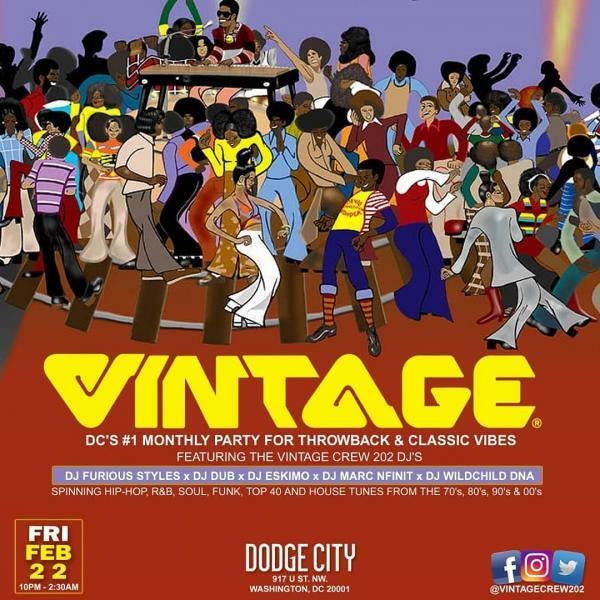 D.C.’s best Throwback Dance party is back. FRIDAY FEBRUARY 22ND!!! We play classic tunes, bringing you back to places you haven’t been to in a minute and give you the freedom to dance the night away with friends, old and new. Dodge City is a classic U Street bar staple complete perfect for sipping craft cocktails and debating who won the Great Battle of 2001, Jay-Z or Nas? Click here to feel the vibe!!! Street parking might be difficult so Uber/Lyft/Public Transport/Dogsled is strongly suggested. You should consider taking a rideshare (uber/lyft) or maybe even metro (U St Metro Station). Your best vibes, dancing shoes, some fun friends.